Applied Critical Thinking nurtures independent thinking skills and the ability to express complex ideas in a clear and convincing manner. 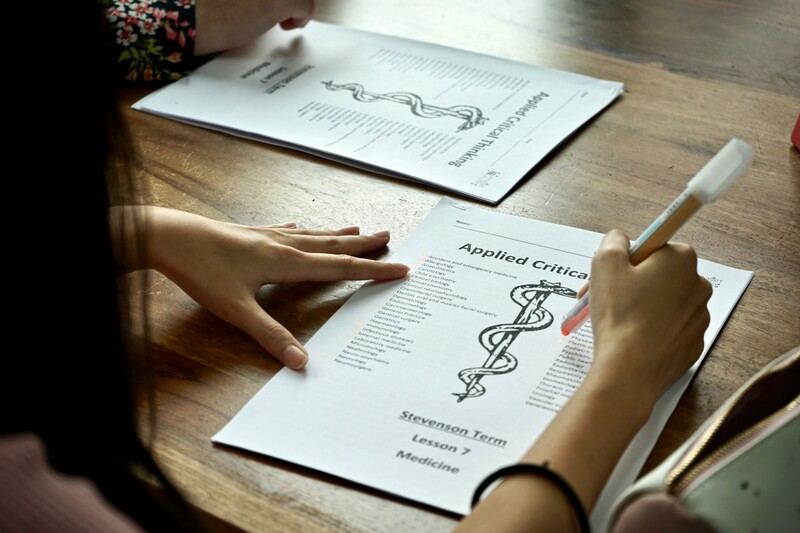 Students deal with real-world cases from the fields of law, medicine and politics, and understand the decision-making processes that are undertaken by people working in these challenging disciplines. Complex ethical concepts are discussed, and students often work on topics without a clear right answer. Being able to defend your position in these situations is the key to succeeding in interviews for top universities, and in the world of work beyond. HKDSE, and the Theory of Knowledge core subject in the IB Diploma. Oxbridge interviews; LNAT/LSAT exams for law school applications; BMAT/MCAT exams for medical school applications. Careers in challenging fields such as law and medicine. Read varied sources, e.g. news articles, personal narratives, and technical reports. Write in a variety of styles, e.g. witness statement, formal letter, and analytical essay. Present arguments on each side of complex topics. Engage in debates and respond to the arguments of others.